A.B., Harvard University; M.S., Cornell Univ., Ph.D.
1. Optical studies of superconductors and 2D-layered cobaltates: including high temperature superconductors and the newly discovered superconductor MgB2. Infrared spectroscopy is ideal for the study of charge dynamics and gap properties in superconductors. Coupled with strong magnetic fields and synchrotron radiation, we are developing infrared spectroscopy into one of the major tools that would shine the light on the paring mechanisms in various kinds of superconductors. 2. Optical studies of nano-systems: these include ultra-thin films, nano-wires and nano-magnets like the single molecule magnets (SMMs). Optical spectroscopy, particularly in the THz region, provides a unique "contactless" probe to study these low-dimensional nano-systems, when traditional transport measurements are difficult or sometimes impossible to be performed. Research positions for undergraduate and graduate students are available. If interested, please contact Professor Tu at jtu@sci.ccny.cuny.edu or come to visit the optical spectroscopy lab in Marshak J-327. Tu J., Greene L., Homes C. Directional dependence of the superfluid response of optimally-doped Bi2Sr2CaCu2O8+δ single crystals in the surface region, APS March Meeting, 2012, Boston, MA (2012). CCNY Authors assigned: Tu J.
Li J., Tu J., Birman J. Optical Selection Rules in Topological Insulators: Bi2Sb3, Bi2Se3, Bi2Te3 and Sb2Te3, Journal of Physics: C, Cond-Mat 1204.3068 (2012). Tu, J. J. Shining Light on Thermoelectric Oxides, Northrop Grumman, Bethpage, NY (2011). 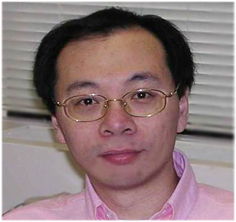 CCNY Authors assigned: Tu, J. J.
Tu J. Opitcal Studies of CdTe-based Detectors, ARI Conference, Washington, DC (2011). J. J. Tu, J. Li, W. Liu, A. Punnoose, Y. Gong, Y. H. Ren, L. J. Li, G. H. Cao, Z. A. Xu, and C. C. Homes Optical properties of the iron arsenic superconductor BaFe1.85Co0.15As2, Phys. Rev. B, 82, 174509 (2010). A. Akrap, J. J. Tu, L. J. Li, G. H. Cao, Z. A. Xu, and C. C. Homes Infrared phonon anomaly in BaFe2As2, Phys. Rev. B, vol. 80, 180502(R) (2009). T. A. Tyson and Z. Chen, Q. Jie, Q. Li, and J. J. Tu Local structure of thermoelectric Ca3Co4O9, Phys. Rev. B, Vol. 79, 024109 (2009). Tu J. J., Homes C. C., Greene L. H., Gu G. D., Strongin M. The Absence of Superfluid Response in ac and bc-plane Optical Conductivities of Optimally-doped Bi2212 Single Crystals in the Surface Region, Phys. Rev. Lett., (2007). D. C. Schmadel, G. S. Jenkins, J. J. Tu, G. D. Gu, Hiroshi Kontani, and H. D. Drew Infrared Hall conductivity in optimally doped Bi2Sr2CaCu2O8+d: Drude behavior examined by experiment and fluctuation-exchange-model calculations, Phys. Rev. B, vol. 75, 140506(R) (2007). K. L. F. Bane, G. Stupakov, J. J. Tu Reflectivity Measurements for Copper and Aluminum in the Far Infrared and the Resistive Wall Impedance in the LCLS Undulator, Proceedings of European Particle Accelerator Conference (EPAC2006), Edinburgh, Scotland, pp. 2955-2957 (2006). Dordevic, S.V., Homes, C.C., Tu, J. J., Valla, T., Strongin, M., Johnson, P.D., Gu, G. D., and Basov, D.N. Extracting the electron-boson spectral function alpha2F (omega) from infrared and photoemission data using inverse theory, Phys. Rev. B, 720:53:00 (2005). R. P. S. M. Lobo, M. Elsen, P. Monod, J. J. Tu, Eun-Mi Choi, Hyeong-Jin Kim, W. N. Kang, Sung-Ik Lee, R. J. Cava, and G. L. Carr Interband Scattering in MgB2, New Challenges in Superconductivity: Experimental Advances and Emerging Theories, edited by J. Ashkenazi et al., NATO Science Series II: Mathematics, Physics and Chemistry, Vol. 183, 243-248 (2005). S. V. Dordevic, C. C. Homes, J. J. Tu, T. Valla, M. Strongin, P. D. Johnson, G. D. Gu, D. N. Basov Extracting the electron-boson spectral function alpha2F (omega) from infrared and photoemission data using inverse theory, Phys. Rev. B, Vol. 71, 104529 (2005). J. Hwang, T. Timusk, A. V. Puchkov, N. L. Wang, G. D. Gu, C. C. Homes, J. J. Tu, H. Eisaki Marginal Fermi liquid analysis of 300 K reflectance of doped Bi2Sr2CaCu2O8+d, Phys. Rev. B, Vol. 69, 094520 (2004). Z. Ye, Q. Li, G. D. Gu, J. J. Tu, W. N. Kang, Eun-Mi Choi, Hyeong-Jim Kim, and Sung-Ik Lee Magneto-Optical Studies of the Critical States in c-axis Oriented MgB2 Thin Film and Bulk MgB2/Mg Nano-Composites, IEEE Tran. Applied Supercond., Vol. 13, 3722-3725 (2003). E. Schachinger, J. J. Tu, J. P. Carbotte Angle-resolved Photoemission Spectroscopy and Optical Renormalizations: Phonons or Spin Fluctuations, Phys. Rev. B, Vol. 67, 214508 (2003). B .E. Hubbard, J. J. Tu, N. I. Agladze and A.J. Sievers On the Optical Activity of the Boson Peak and Two-level Systems in Silica-germania Glasses, Phys. Rev. B, Vol. 67, 144201 (2003). J. J. Tu, C. C. Homes and M. Strongin Optical Properties of Ultra-thin Films: Evidence for a Dielectric Anomaly at the Insulator to Metal Transition, Phys. Rev. Lett., Vol. 90, 017402 (2003). J. J. Tu, G. L. Carr, V. Perebeinos, C. C. Homes, M. Strongin, P. B. Allen, W. N. Kang, Eun-Mi Choi, Hyeong-Jin Kim, and Sung-Ik Lee Optical Properties of c-axis Oriented Superconducting MgB2 Films, Phys. Rev. Lett., Vol. 87, 277001 (2001).